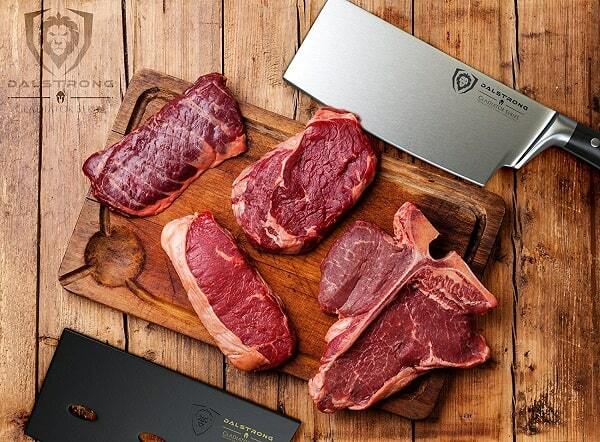 Be forewarned, the best BBQ knives come with big price tags. But a knife being expensive is no guarantee of quality. There are many “scam” knife sellers, especially for a style described as Damascus steel knives. 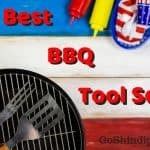 So doing some research, such as reading this BBQ knife guide, is paramount if you don’t want to fall into the marketing traps the grilling world is full of. First, you must understand the different knife styles and their purposes. 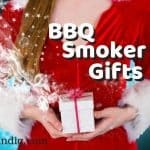 Although this article is about the best BBQ knives, there is actually no such thing as a BBQ knife, just your traditional knives that work best with BBQ style food. So let’s run through the typical knife styles you’ll likely find in the hands of a Pitmaster. 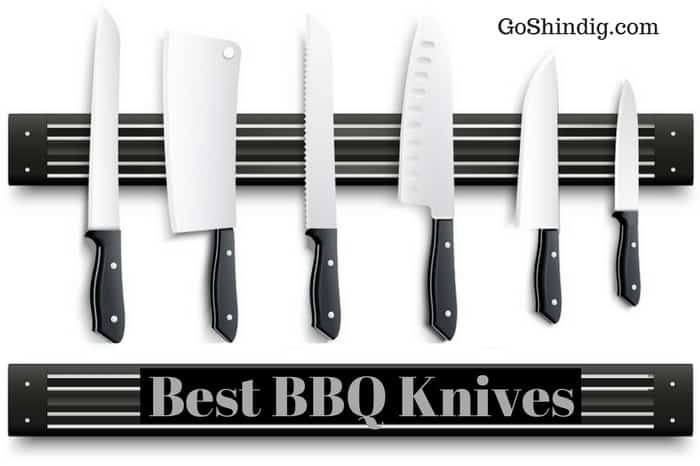 The top three knives on my list are what I call the “barbecue power three knives”. 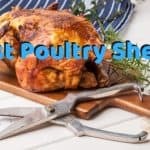 With these knives, you’ll have a quality tool to do pretty much every cutting job needed for the slicing, dicing, and trimming of competition looking BBQ food. But for those of you with money to burn I’ll also recommend what I believe to be the best BBQ knives from several other styles so you can have a full set. If you can only afford one good quality knife then a chef’s knife should be the style that empties your wallet. It’s a very versatile knife that’s good for cutting, chopping, trimming and slicing and for this reason it’s considered the primary general-utility knife for most western cooks. The finished look of the Dalstrong chef’s knife is achieved by what’s called hammered tsuchime (a weird name considering the translation of tsuchime is hammered). This effect isn’t solely to give the knife a beautiful look – it also helps reduce drag while cutting and minimizes the amount of food that sticks to the blade. If all this wasn’t enough, the final points to convince you that this is the knife to buy is it has a Rockwell hardness of 62+ (Rockwell hardness ratings measure the hardness of steel and 62 is very hard for a knife), and a G10 handle, which is a bit technical for the scope of this article but you can read about on the Knife Art website. Big lumps of slowly smoked meats are my favorite meats for barbecue parties, particularly beef brisket, but you need a really nice slicing knife to give your guest the best looking slices of meat and not hacked at chunks. My recommendation for best slicing knife for BBQ food is the Victorinox 12 inch Fibrox pro slicing knife with Granton blade. 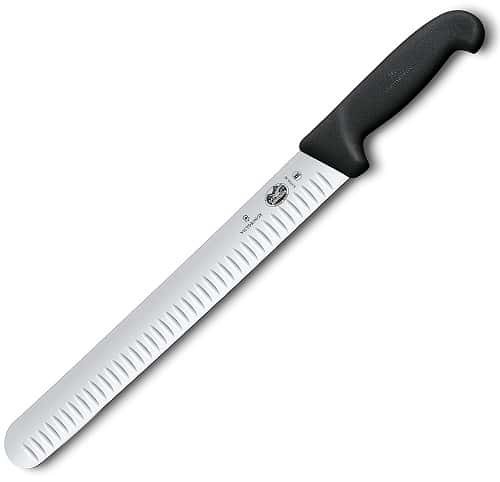 Twelve inches might seem long for a blade, and it might be for standard cuts of meat you cook in the kitchen. But for barbecues we often go super size and get the biggest cuts we can fit on our grills. So twelve inches will be perfect. The Victorinox slicing knife also has a Granton blade (the small indents that run across the whole blade). This minimizes cutting drag by creating small pockets of air, which means less food sticks to the blade, reducing friction for a smoother, high-efficiency cutting motion. If you’re just a hotdog and burgers type of griller then you’ll not need a boning knife, but cutting meat from the bone is a regular task for serious pitmasters so I strongly recommend adding one to your collection. A boning knife is very specialized as it has to be narrow and flexible yet still very strong (and of course, extremely sharp). A knife that is all this and more is the Wusthof Classic 6-Inch flexible boning knife and is my choice as the best BBQ boning knife. I use a paring knife as a back-up to the jobs of a chef’s knife where the size of the chef’s knife makes the task at hand difficult. I think of it as a small chef’s knife that’s good for slicing, chopping, trimming and cutting hard to reach or smaller bits of meat. And the Wusthof Classic 3-1/2-Inch paring knife is perfect for these jobs. A meat cleaver is a tool I’ve noticed many novice grillers are scared to use. I understand why. It has a scary look about it and if you watch as many films as I do you’ll notice it’s more often used as a torture device than a tool for great food. And as it’s swung more like a hammer than the cutting motion of a knife I’m sure people are worried about losing fingers. Whether you have the skill and confidence to use a meat cleaver, I’ll let you decide. I’ll just inform you which I think is the best. But the meat cleaver is a knife that has a skill set none of the other knives have. It’s designed to withstand repeated blows directly into thick meat, dense cartilage and bone, and therefore has to be extremely strong. As the strength of the blade is so important for cleavers you’ll want to make sure the one you buy is full-tang – which means the steel of the blade is cut so that it also forms the handle (part-tang means it forms a small part of the handle). The reason you want full-tang is you don’t want the blade to come loose from the handle while swinging a cleaver. Pulled pork claws are obviously not a knife, but as this article is about cutting meat I’d thought I’d give them a quick mention. Knives aren’t very good at “cutting” pulled meats. In fact I used two forks for pulled pork instead of knives before I bought some claws. So if you are a big fan of pulled meats you should consider adding some pulled pork claws to your collection of knives. 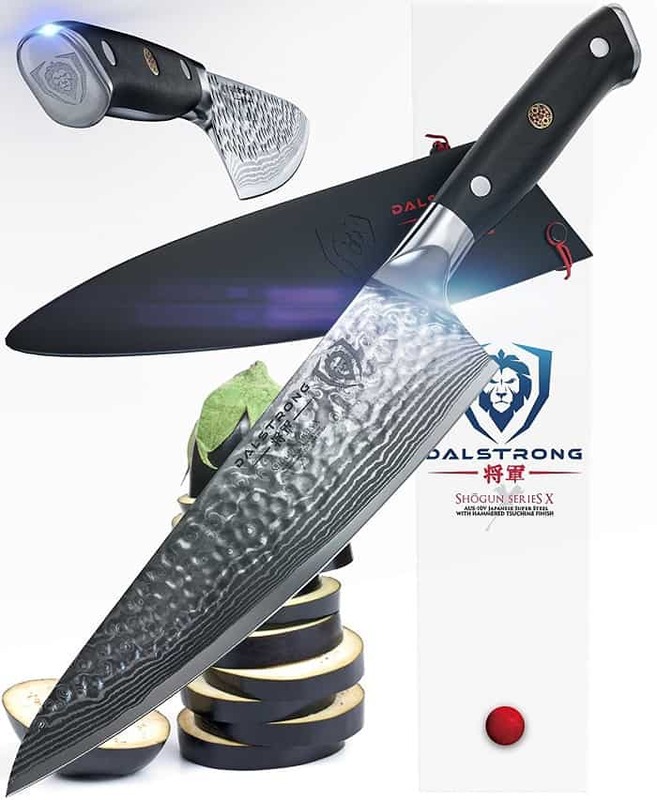 I love Dalstrong knives and recommend them to all my friends.